GWHA is proud of its resilience and roots; originating from Hillhead HA in 1978 and maturing through the successful fusion of 7 housing stock transfers; 5 from local housing associations (Kelvin HA, Philemon HA, Burnbank Gardens HA, Sandyford HA and Avalon Co-op) and 2 from Glasgow Housing Association (GHA) (Hyndland and Anderston), through a process known as Second Stage Transfer). GWHA owns 1486 houses and 109 non housing facilities, and through its subsidiary, Glasgow West Enterprises Ltd (GWEn), provides factoring services to 581 residential and commercial owners who live or work alongside GWHA tenants in mixed-tenure developments. With over 2000 tenants, residential and commercial owners now receiving services and with 40 years local experience, GWHA is a respected community controlled, charitable housing services provider in the West End of Glasgow. 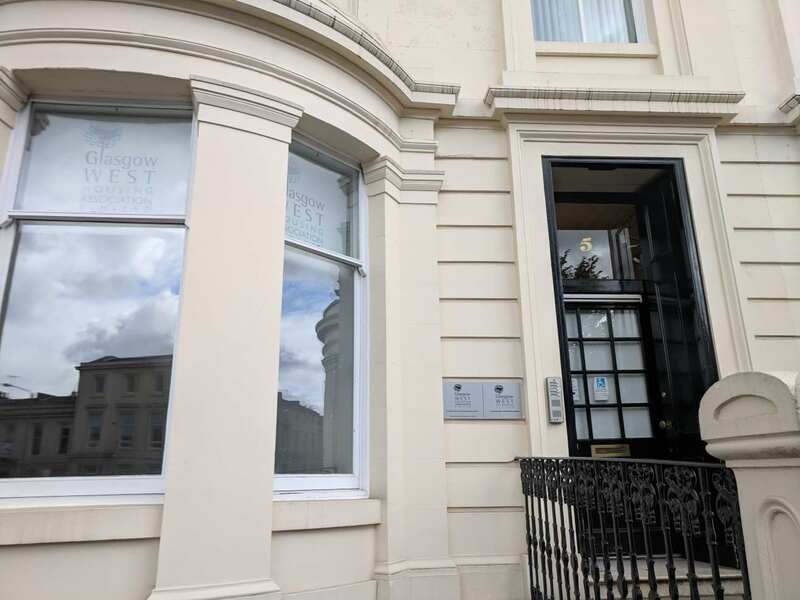 Services are provided from the main offices at 5 Royal Crescent, as well as 3 community concierge stations at 56 Blythswood Court, 31 St Vincent Terrace and 72 Crown Road North.